We believe that people need to be adequately informed about their dental needs and that includes knowing the cost to fix whatever they need. We are very up front with everyone about the fees involved and try to talk straight, so that you know what you are getting into before any dental work is done. In fact, we like you to know how much the dental work will cost you before you ever walk through our door. If you choose to pay with cash or check you will pay 10% off our everyday lower prices. Crown Special — $100 off our everyday low price when you choose to pay with cash or check. These are some of our base fees. If you have questions about them, or you want to know fees for procedures not listed, please call the office at 888-3384. If we have seen you and given you an estimate, remember that it is an estimate only. We cannot see or anticipate every situation or complication. 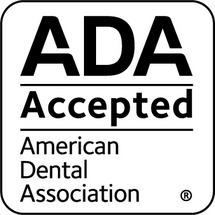 We strive to be honest and upfront about any dental treatment options we recommend. The cost of health care (including dental care) increases when people do not care about the fees or the cost. We encourage people to shop around and compare what they are getting for the money they are spending for any health care service. Fee conscious consumers will help control all health care costs. This is true whether or not you have insurance. Once doctors, labs, hospitals or clinics know that you are concerned about the cost (and the money you are going to have to pay), they will all become more cooperative.